We are attracted to love, fear separates us. 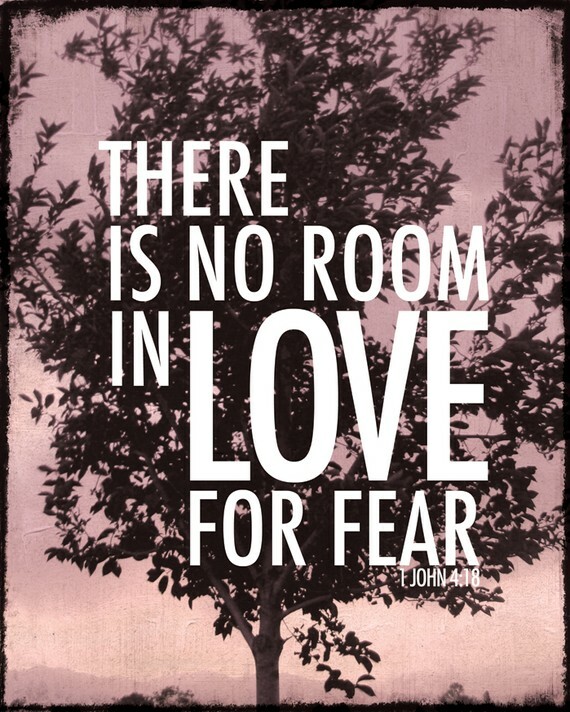 Love is freeing, fear is controlling, love is unconditional, fear is judgemental. The sociopath is not ruled by either of these emotions and because he is not ruled by these emotions, he has the upper hand over the victim. The sociopath manages to control by manipulating others with these two emotions. It is quite a simple trick, when people try to work out what the sociopath is doing, they over complicate the analysis of the manipulation tools, and this can cause confusion. Most people are ruled through love and fear, every day in their waking life. The sociopath, not feeling these emotions, is able to rule others simply by showering with fake ‘love’ and attention, or installing ‘fear’ and control. It is often said that the sociopath can have a Jekyll and Hyde personality. In it’s simplest form, what the sociopath is doing is switching, from controlling through love and fear. You might argue, and say that there are lots of other emotions, that people feel. There are, but each of these emotions are ruled by the primary emotion of love and fear. Because the sociopath is not ruled by emotions, because he has a lack of remorse, guilt or shame, he can powerfully control a person, simply by providing ‘love’ or installing ‘fear’. By wielding these emotions over the victim – the sociopath gains control. Which is the most important thing to the sociopath (to have control over the victim). Whilst the sociopath is in gaming mode, the victim is left confused. As the emotions that are ruled, alternate between love and fear, the victim is left confused. Does the sociopath love me, or hate me? When you decide that the sociopath doesn’t love you can make attempts to leave the relationship, and the sociopath will often immediately switch – to love again (the Jekyll and Hyde personality), alternatively, if you are determined to leave, the sociopath will move to final stage (ruining) – which is based on fear. By manipulating the two primary emotions of the victim, the victim is left stunned and confused. Whilst one of the emotions (love) feels positive, the victim is drawn to this (we are all drawn to positivity it makes us feel good). The other emotion (fear) the victim is repelled from. This is why the sociopath will switch from controlling through love and then fear. What separates sociopaths from the rest of society, is their inability to feel these primary emotions of ‘love’ and ‘fear’, and their lack of ability to experience these emotions. When you realise that the sociopath has faked these primary emotions, can feel quite alarming to the victim. If a human being does not feel these two emotions, how can they even be ‘human’ you question? What the victim is left with, is a sense of confusion. your primary emotions have been played with. Where you have experienced when in gaming mode, is an alternate state of emotions of being controlled with ‘love and fear’ and therefore the Jekyll and Hyde personality is shown. This causes confusion. If you have came out of the relationship with the sociopath, and are feeling confused. Go back through what has happened to you, and understand what has happened. It might feel sinister. As it is out of the norm for what you understand is right, appropriate and normal for a human being to be. Our ability to experience Love and Fear, is what rules us. It is what teaches us the difference between ‘right and wrong’. Because the sociopath is able to fake these emotions, we are lured into a false sense of security, that the sociopath is actually feeling these emotions. We are being shown a mask, but without actual genuine feelings there is no depth of emotions it is simply an act used for manipulation and control. I’m really thrown for a loop right now. I’ve been reading this website for a week and too much of it makes sense. I am just completely floored. I saw a domestic abuse counselor today who confirmed that it is classic abuse but didn’t know anything about sociopaths. I’m truly scared. For six years he has been gaming me. All the while I was going through the same thing with my ex! My ex got to the destroy stage again when we reviewed child support several years after separating.” H” watched every heartache, every fear, and I’m scared. I know why he’s always said, “I know more about you than anyone” – it uses to be comforting. Now it’s terrifying. I kicked him out two weeks ago. He is absolutely confusing kindness right now; he won’t say we broke up, he says we’re separated. I holding on to hope that I’ll return to supply him once more except I’ve got nothing left. I am a shell. ‘ve tried to leave so many times and so many ways through the years. He was always the only one who could pull me out of the pit, and now I know why. He put me in it to begin with. It’s darker than even he knows. Now I don’t know where to turn. He’s started the smear campaign years ago and very few people even take me seriously. My mind is hardly my own anymore. We have kids together. I’m pretty sure he’s using my eldest daughter in some same ways. I don’t even know if the sky is blue anymore. I don’t know if I’ll make it out of this. On either end. You can recover from this. Even if your life has been burned to the ground. First of all you still have your children. So you can use this to get out. You say that he left 2 weeks ago. So you have safe haven. The process is about starting small and working with this. Do you have any family or friends around you? Or has he burned all of these bridges for you? I am in the final ruining stage and have run out if energy resources to fight it anymore. I realise everything has been a lie. I am going through all the same feelings and emotions as you. Totally devastated and broken. An empty shell. The worst day of my life having to realize the happiest day of my life was all a lie. Hi Lesley. Time. Time helps, but, it is more than that. It is about working hard on your own healing and recovery. NO CONTACT is essential. For a while, avoid mutual contacts.But don’t do this forever though. This is about protecting yourself, not living like a nun for the rest of your life. A good start for healing, are those places, people, friends, family, hobbies, likes and interests that you had BEFORE you met them. I cannot stress how important this is. Understand that it took some while to destroy, brainwash, mindfuck you and your life. It will take some time to undo this. You have to stay away from them. What i learned was that i was still stuck in the mindset that he gave me. I am no victim. I am not the person who he made out to be. This is why going back to what you love, and who loved and loves you from before you met, is SO important. Take it one day at a time. Focusing on GRATITUDE is also very important. Gratitude for the small things, for everything. This keeps your attention onto you. Read old posts here, from 2013, they are healing (I found) and others told me too. I know you are hurting right now. I promise you can fully heal and recover. You are not the person that you were turned into, you are YOU. It’s crazy how much of yourself you lose being with a sociopath! Like Smoo & Gamedefector I don’t know ME anymore. I’ve lived with a sociopath (he lives with me) for a year and a half now. Thankfully I found out fairly quickly and have told him to leave. We have gone through the first 3 stages listed here and I’m terrified that the “Ruining” stage is still to come! He says he’ll be out by the 1st, just 10 days from now. I’ve been careful with (most of) the personal information I’ve shared with him due to the nagging gut feeling I had, wish I listened to it! I’m being very sweet saying we will remain friends, though I have no intention of doing so, I’m just trying to get him out peacefully. Locks will be changed as well as my phone number. I’m biting my tongue, smiling and non-confrontational because whenever I get upset with him I see bits of the “ruining” surface and it scares me. Will he really leave peacefully? Will he try to ruin me? My God what a nightmare! Hi Debbie, yes you are right, you DO lose yourself being with a sociopath. They mould and shape you into who they want you to be. They destroy, manipulate, own and dominate what is left of your life, tarnishing it. I hope that you manage to get him out without any problems.